User name and password are required to download Excel Spreadsheets or AutoCAD Drawings. Please go to Sign Up page, agree to terms and request access in the comments box. This is template drawing of the boilerplate and details referred to by AT11 the Run Elevations drawing. 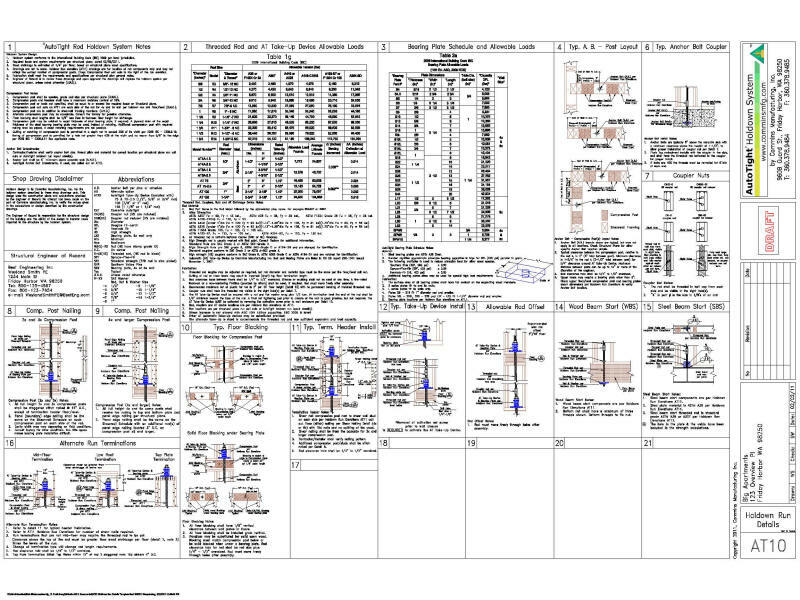 You choose one to match your applicable local building codes and input a few job specific details. You get a complete cover drawing for construction and ready for engineering stamp. These are AutoCAD LT 2006 files. This is the main construction document for building the holdown system. You enter the job name, number etc. You build the runs for your job from individual blocks and dozens of prebuilt generic runs. You change generic part sizes, alloys and other specifics in block attributes. These details are available in the output of the AutoDesigner package. You get a complete assembly drawing for construction and ready for engineering stamp. 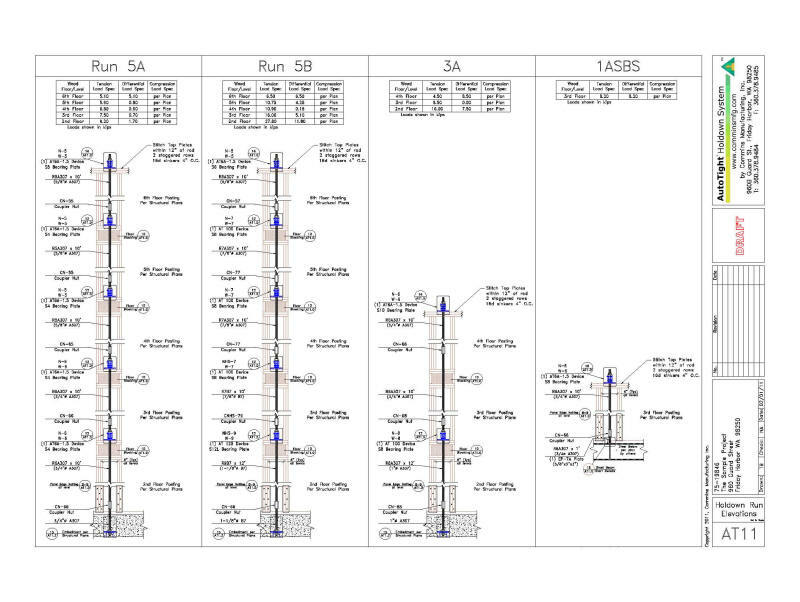 This is a drawing of the concrete anchor bolt embedments for the various runs. 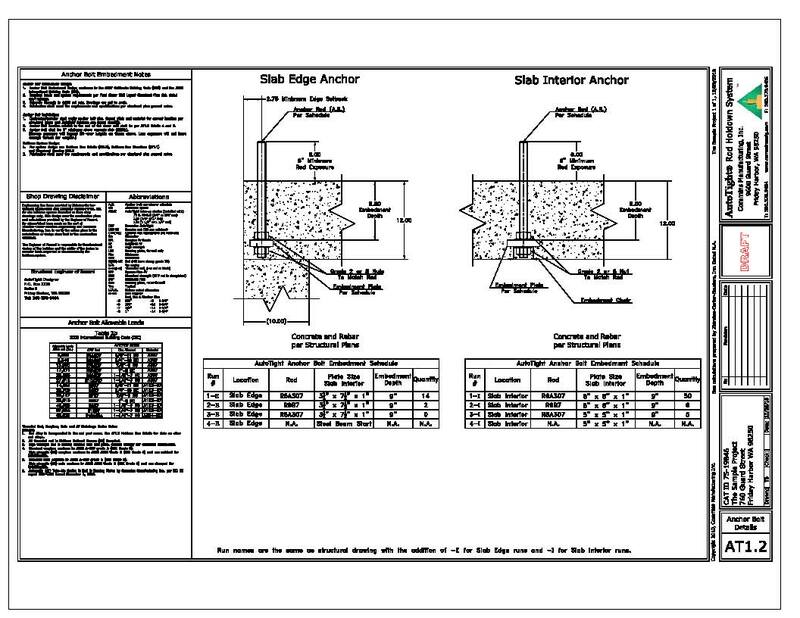 This drawing is usually custom made for each job due to the variety of embed types and floor conditions. There are a dozen different embed types to start working with. AutoCAD is required to view some of the material. Adobe Acrobat Reader is required to view some of the material.